Minister for Agriculture Michael Creed has said that a change in behaviour of farmers is the key to reducing the dangers in farming rather than a huge outlay of money. 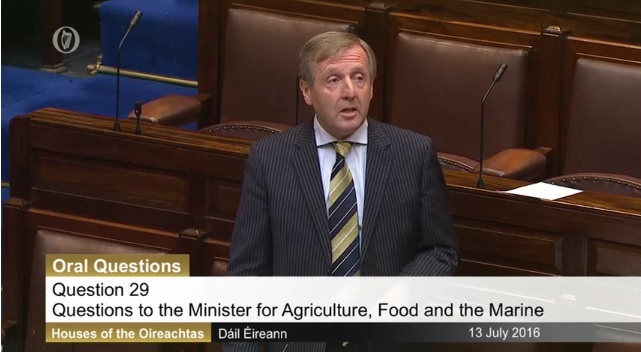 The Minister was responding to Donegal TD Thomas Pringle’s query of whether or not the Minister would support the provision of personal protective equipment as part of farm safety measures. Speaking in the Dail this week, Minister Creed said farm safety is a critical issue, with statistics showing that accidents on farms cause more workplace deaths than all other occupations combined. 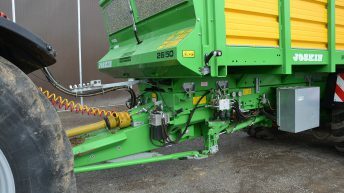 “In the period 2004 to 2013, there were 176 fatal farm accidents which is a shocking statistic. To date this year there has been eight fatal farm accidents on Irish farms. “These eight fatal farm accidents account for over forty percent of all fatal work accidents so far in 2016, while farming accounts for less than 6% of the workforce,” said Minister Creed. The current TAMS grant-aid schemes are focused on capital investment items that have a prolonged life span and are of a high cost according to the Minister. 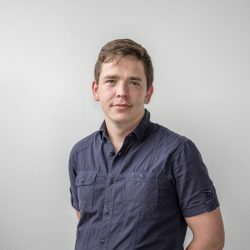 “Most personal protective equipment needs to be replaced on a fairly regular basis to ensure that it remains in a functional condition, and most of it costs less than €50 for any one item. “For example traditional style boiler suits can be purchased for less than €20 and items such as goggles, ear defenders, face masks, hard hats, gloves and high-visibility waistcoats can all be purchased for less than €10 each,” said Minister Creed. Behavioural change is what is required to prevent many accidents while it is a case of being aware of the dangers and taking the time to do what is necessary to minimise the risk, according to Minister Creed. While there are many risks in farming, farming does not have to be a dangerous occupation. There are plenty of ways to reduce the danger, without spending a lot of money. He said that it is important for everyone, to continually highlight the need for farmers to think safety first in all tasks they perform, no matter the pressure. “No individual action or organisation can solve this difficult problem that impacts so negatively on so many lives each year,” said Minister Creed. Earlier this month the Irish Cattle and Sheep Farmer’s Association president Patrick Kent claimed farmers should be able to claim back VAT on essential farm safety equipment and clothing. Kent said a simple measure like this could make a big difference especially with farmers under pressure with low commodity prices. 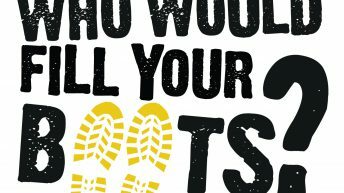 Farm Safety Week: Who would fill your boots in the event of a farm accident?